With a recent Indiana primary victory, news that Donald Trump is the presumptive Republican nominee for president this November came after Cruz and Kasich withdrawals. With the attention of the nation on Indiana, it seems fitting that we should venture there to see what interesting roadside attractions the state has to offer. Anderson, Indiana is home to the Walking Man Project, in which artists from all around have contributed to painting and decorating the many sixteen foot tall sculptures of men and women throughout the city. Bruceville is home to a man named John Ivers. 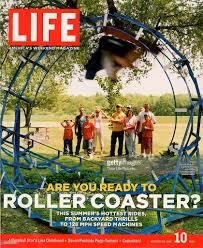 This thrill seeker has built two of his own backyard roller coasters. Stop in the area and take a look at Blue Flash and Blue 2. 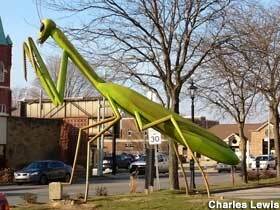 Cannelton is home to an interesting religious creation. 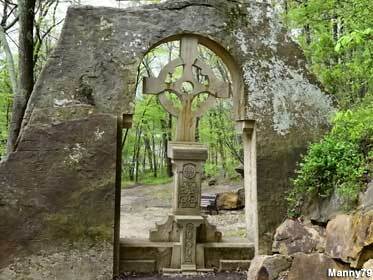 It is home to the world’s largest Celtic Cross carved from one rock. 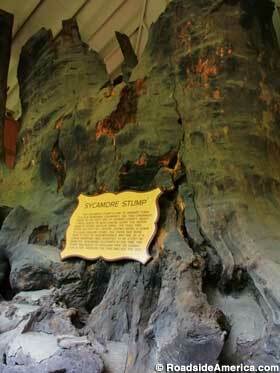 Carved into a single boulder, measuring over 20 feet tall. This site is also a part of Blue Heron Vineyards, so stop by for a drink as well! Mooresville, Indiana is home to gravity hill. You’ll think you’re about to roll downhill, but hold on while your car rolls UP! This area is also known for paranormal activity. 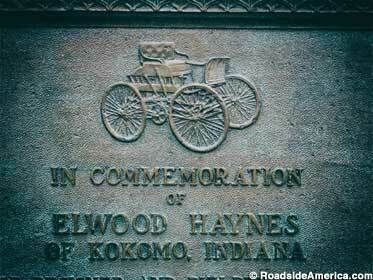 Kokomo is also home to a few interesting sites, such as the world’s largest sycamore stump, a giant praying mantis statue, and a dedication to the first trip by car.